Adapted from Hans Fallada’s highly acclaimed 1947 novel, Alone In Berlin is a story based on real life events which took place in Berlin at the heights of Nazi rule. Staring Emma Thompson and Brendan Gleeson, the film delves into one of Europe’s darkest hours and addresses the everyday acts of quiet resistances by ordinary German citizens during that time. Alone In Berlin not only tells an important story about stoic resistance to a hateful destructive ideology, but it also allows these acts of rebellion to be shared with a wider audience around the world. Directed by actor turned director Vincent Perez, Alone In Berlin is expertly crafted visually and has more heart and urgency that you could ever wish for, even if it is ultimately let down by a less than perfect screenplay. Perez who well as directing co-wrote the script, manages to convey the story with a great deal of nuance and sensitivity to the subject. While Emma Thompson and Brendan Gleeson bring a certain amount of class and reverence to their roles without ever overdoing it. The film does the usual thing of having English speaking actors speak in with a german accent, something we have seen more and more lately, but at no point are we ever put off by this. 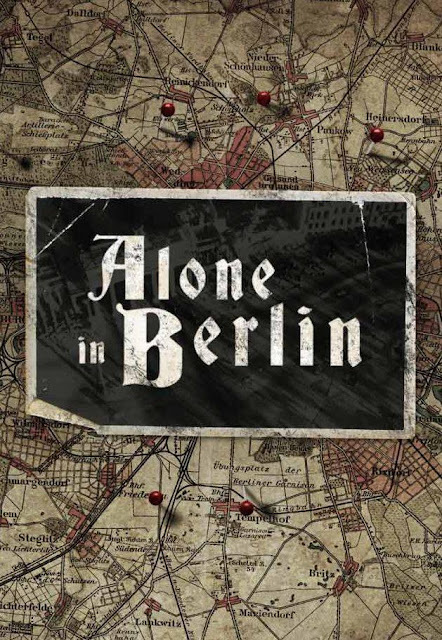 Alone In Berlin is out on the 30th of June.